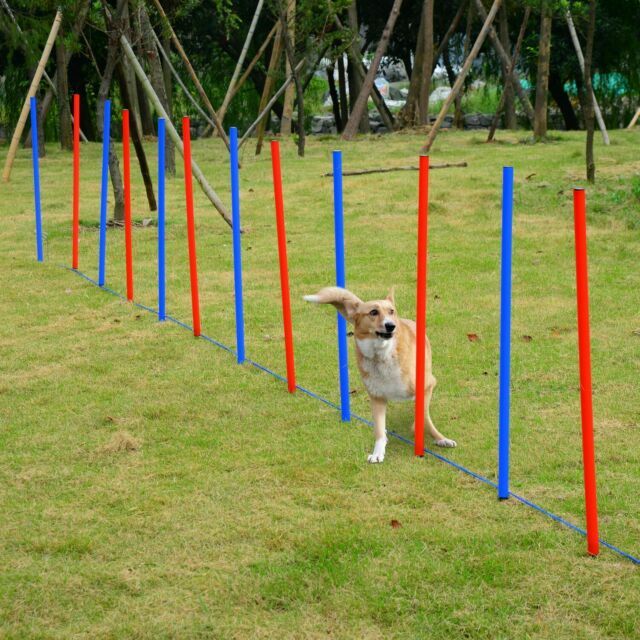 With long sturdy spikes to secure into ground|Bag provided for Portable packaging|Promotes your dogӳ health and well-being|Inspires interactive fun|Accessories Included 12 steel stakes, 2 spikes, 1 string and 1 packaging bag. Very good training weaves. They are sturdy and the bag is an excellent additions as I can take them anywhere and practice.